In milling machines numerous axes have to be moved at a predefined time. The secondary axes are moved in relation to the main axis. 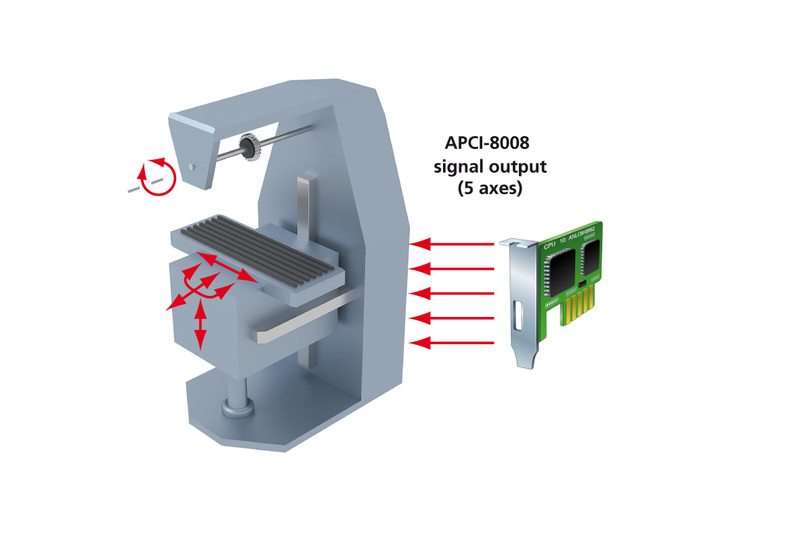 To guarantee a smooth execution of this process, the intelligent PCI motion control board APCI-8008 features the ELCAM functionality which controls these relations with a predefined chart. In addition, the Look-Ahead function adapts the trajectory speed during the whole motion process which guarantees a smooth operation and prevents mechanical damage. Furthermore, the APCI-8008 supports numerous types of interpolation like linear, circular, spline etc. This board has been chosen for its reliability, because of the quality of the signal output for servo as well as for stepper motors and for the numerous programmable interfaces it features.